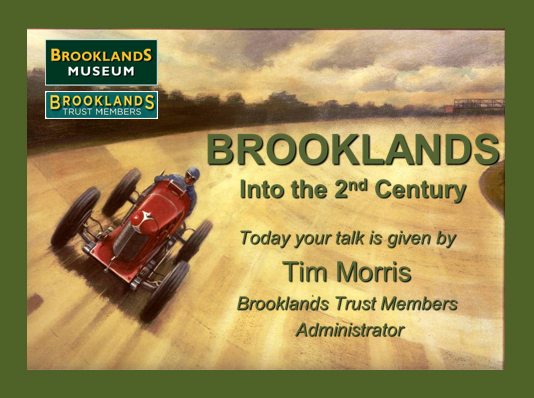 We can visit your group to give a talk about Brooklands. At present we have five different talks which we can present to you. They are listed below and you can book us for one or all five if you wish! 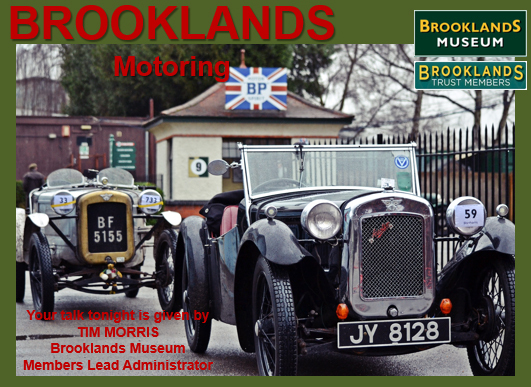 We do ask for a donation to Brooklands Museum of a minimum £40 but this may rise according to distance, number of persons etc. 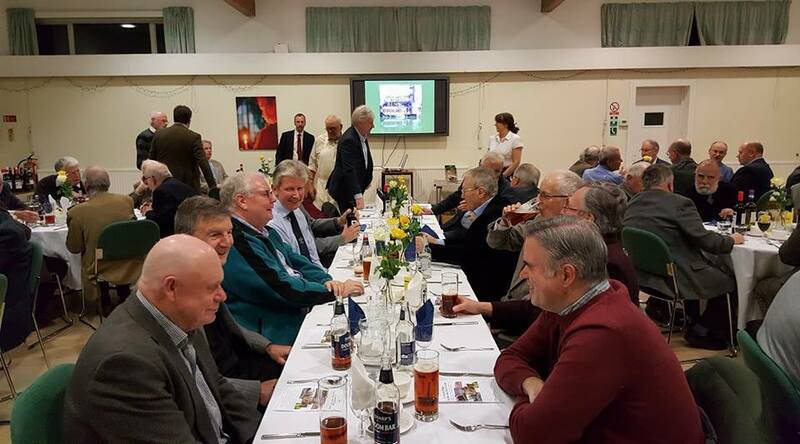 We like to give talks during the week evening or daytime to local groups, usually within a 20 mile radius. Any talks further afield by negotiation. You'll find below a list of the talks we have given so far and the talks already booked for the future. 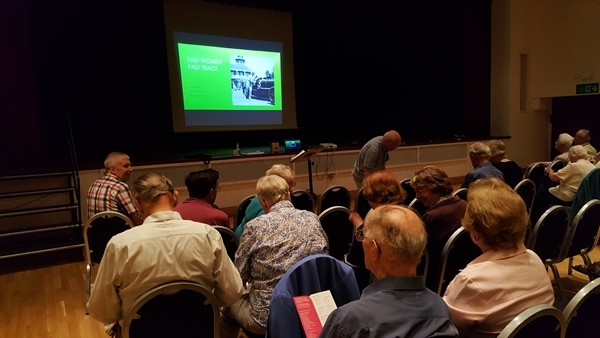 The talks are given by our Administrator, Tim Morris. 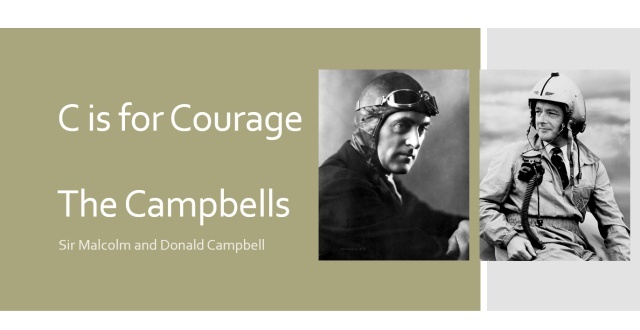 Sir Malcolm Campbell has a strong association with Brooklands holding the record for the most race entries at the track. His son, Donald, would accompany him to the track to watch him race. 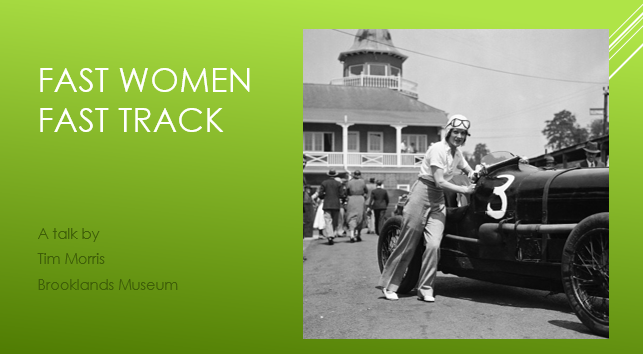 This presentation tells their story and their quest for speed on land and water which ultimately led to tragedy. 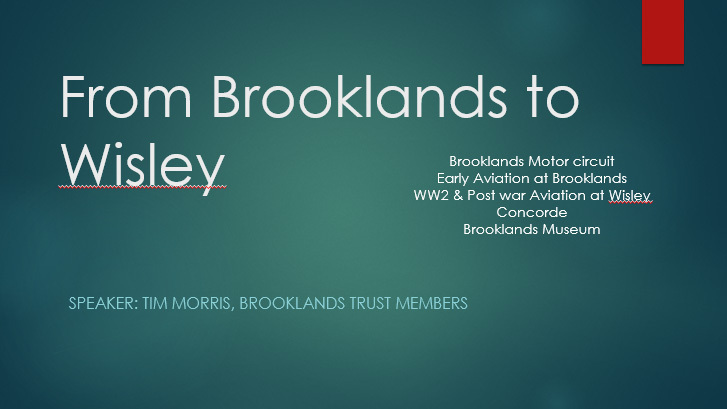 An Aviation based talk looking at the role nearby Wisley Airfield played in relation to the main factory at Brooklands. 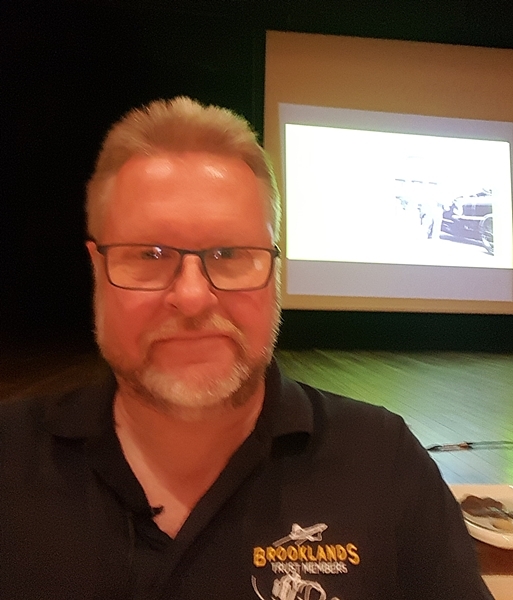 A Brooklands history with the aircraft missing! If you would like to attend one of these talks please contact the relevant group as many do accept guests at their events.